Models open Saturday and Sunday from noon to 5pm! Come visit us at: The address is 10037 Southeast 172nd Avenue, Happy Valley, OR. Come check out homes starting at $479,950! 3 models available to view this weekend from noon to 5pm. The address is 24801 124th Ave SE, Kent 98030. 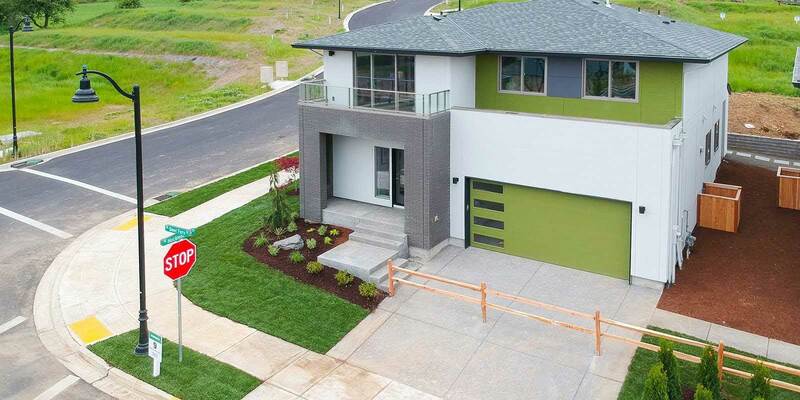 Cool Contemporary Homes with Beautiful Views Starting at $469,950! 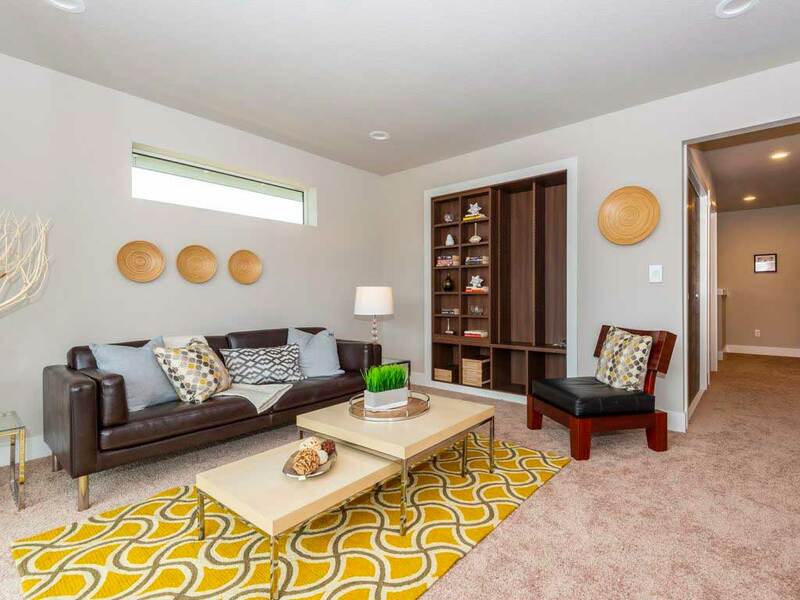 Check out one of our 3 move-in ready models available at Grand View Meadows in Happy Valley! The address is 10037 Southeast 172nd Avenue, Happy Valley, OR. Sammamish Townhomes Onyx Plan Available! Priced at $769,950! 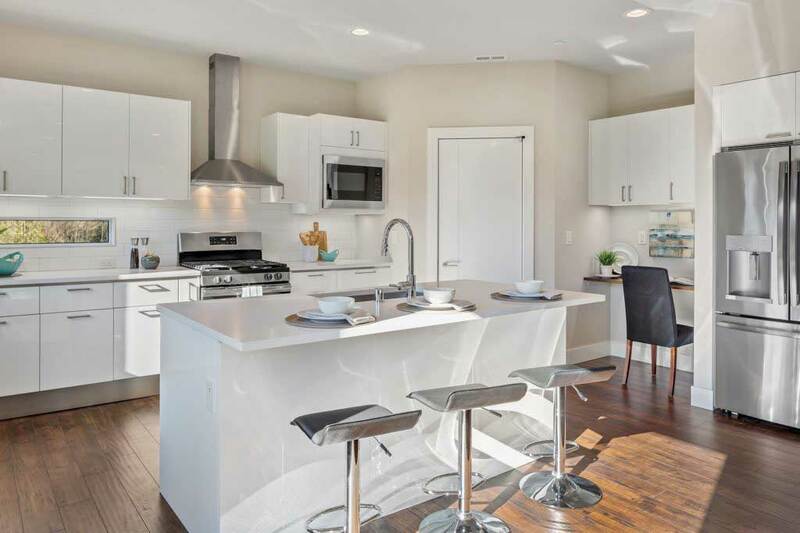 Come check out our model at Sammamish this weekend! The address is 524 228th Avenue Southeast, Sammamish, WA. The Onyx plan features a large great room on the main level with powder room. The large U-shaped kitchen provides ample counter space and is perfect for entertaining. On the third level, the master suite comes equipped with a walk-in closet and bathroom. Two additional bedrooms, a bathroom and the washer/dryer can also be found on the third level. The lower level features a bedroom with a large walk-in closet as well as an adjacent bathroom. 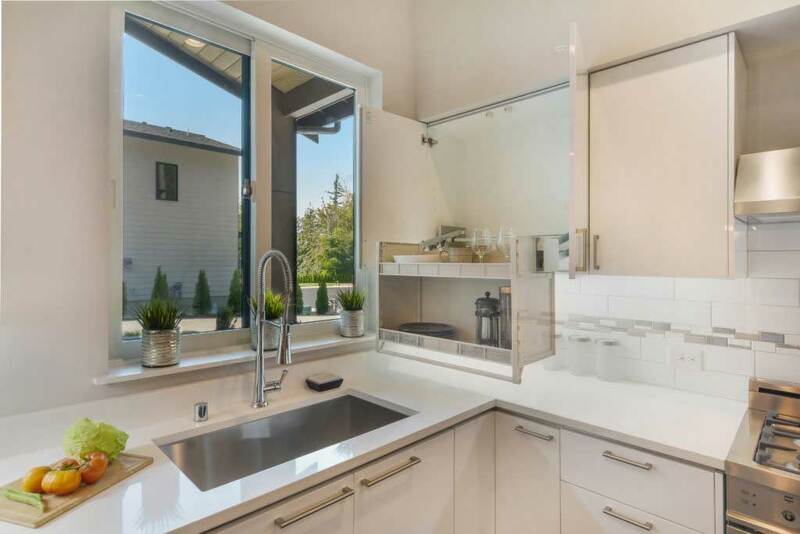 Buyers will love the Ichijo quality products such as the piano finish cabinetry in the kitchen and baths as well as double-sliding windows, closet systems, and contemporary interior doors with magnetic doorstops! For sales, contact Brian McRae 425-281-2082, bmcrae@windermere.com or Loan Trieu ltrieu123@yahoo.com. Introducing the Glacier Model at Rainier Park! Come check it out this Saturday or Sunday, noon to 5pm. One of the largest plans, The Glacier, offers many options for flexible living. The enormous great room with fireplace can accommodate large dinner parties and the kitchen has generous counter space with a huge pantry. The three level home features four bedrooms and two bonus/family rooms, two outdoor living options and a large Master Suite with five piece bath and generous walk-in closet. 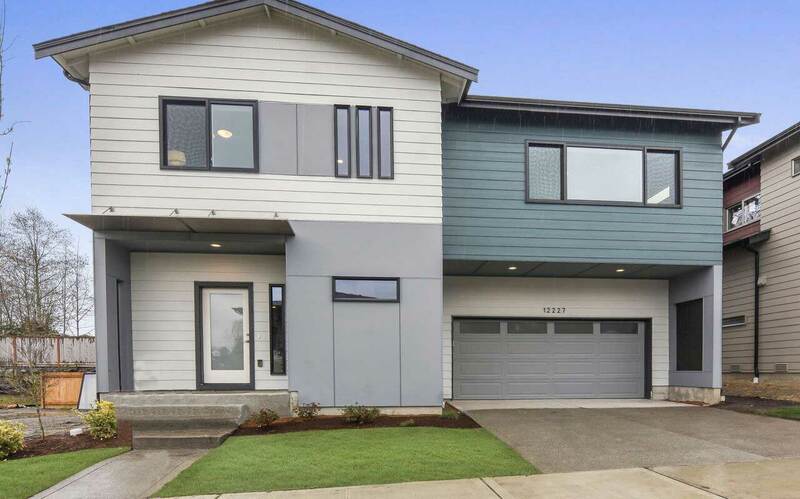 84 new contemporary homes are now selling in the Rainier Park community in Kent! Ranging in size from 1,770-2,973 square feet, these homes will feature Ichijo’s quality finishes that home buyers have come to love such as piano finish cabinetry with pull-down shelving, organizers, soft-close, trash/recycle bins, under cabinet lighting and more as well as sleek interior doors with magnetic door stops, architectural grade dual sliding windows, and more! 3 models are open from noon to 5pm Saturday & Sunday! Pricing starts in the low $500’s. The address is: 24801 124th Ave SE, Kent 98030. 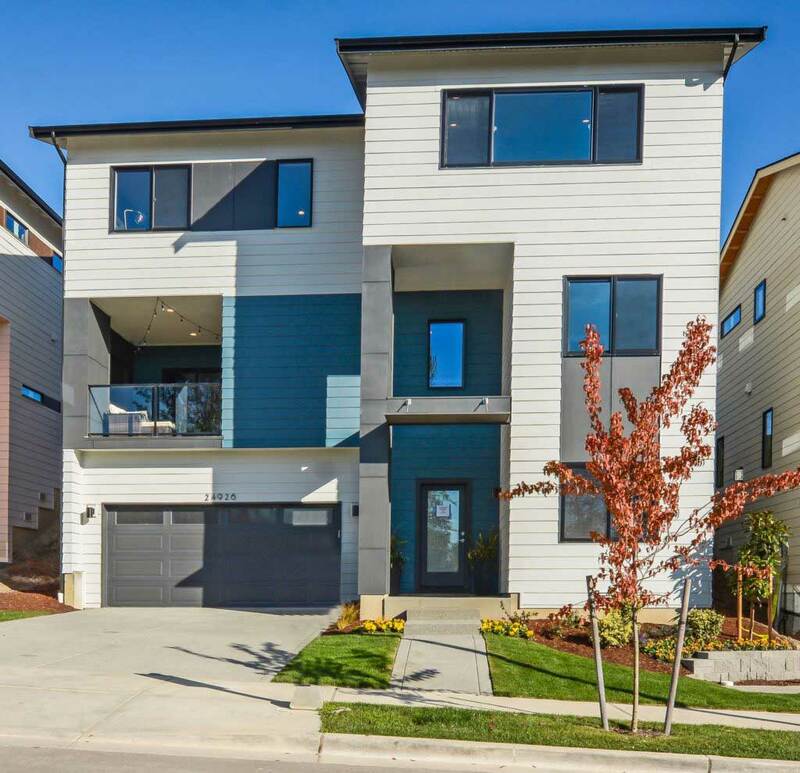 Move-in Ready New Contemporary Homes with 1/3 Savings on your Energy Bill! Open this Weekend! Ichijo is now in the Portland area at Grand View Meadows! Contemporary design and unique propriety products set Ichijo apart from other builders. Buyers are wowed by the piano finish cabinetry with pull-downs, built-ins, soft-close, under cabinet lighting and more. Ichijo’s architectural grade co-extruded sliding windows and patio doors are dual sliding, providing excellent natural air flow and easy glass cleaning inside and out. Additionally, the cool contemporary interior doors have magnetic door stops and metal inlay, giving the homes a distinctive look. This community features high quality precision factory assembled walls with wall framing, windows, weather barriers, furring strips, 2″ additional exterior insulation and rain barriers improving material durability, water management and obstructing heat gains as well as improving indoor air or environmental quality. Save over 1/3 on your electric bill with our energy saving technologies! The address is 10037 Southeast 172nd Avenue, Happy Valley, OR. Model open Saturday and Sunday from noon to 5pm! • Allows for rain water drainage and evaporation by creating a break between the siding and sheathing; protecting your home from the elements. • Reduces hot OR cold air movement through the wall creating a more comfortable environment and saving you money at the same time by reducing your energy bill. Also, the additional 2” EPS (Expanded Polystyrene) exterior insulation increases the R value from R21 to R29 saving you even more money with 15% less heat loss than a standard home. This additional exterior insulation can be seen on our panelized homes in Grand View Meadows and upcoming communities. Ichijo is coming to Ten Trails! Award-winning builder, Ichijo, is coming soon to the exciting new planned development, Ten Trails! 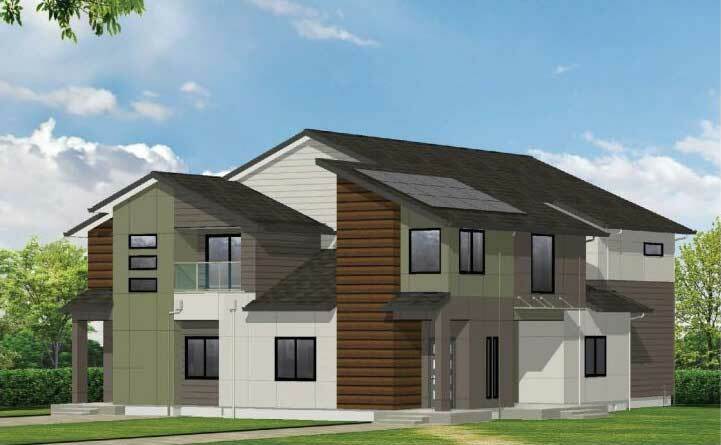 The Black Diamond community will feature Ichijo’s innovative panelized construction, along with dual-sliding windows, sleek contemporary interior doors with metal inlay and magnetic door stops, as well as piano finish cabinetry with built-ins! Your new hometown has the perfect blend of urban style and rural simplicity. Featuring modern, amenity-filled homes, local restaurants, parks, green spaces and more, Ten Trails is a new community being built responsibly from the ground up. Visit: www.tentrails.com for more information. Discover Ichijo’s Innovative Kitchen Solutions! Mount Rainier Views & Contemporary Designs Now Selling in the $500’s! 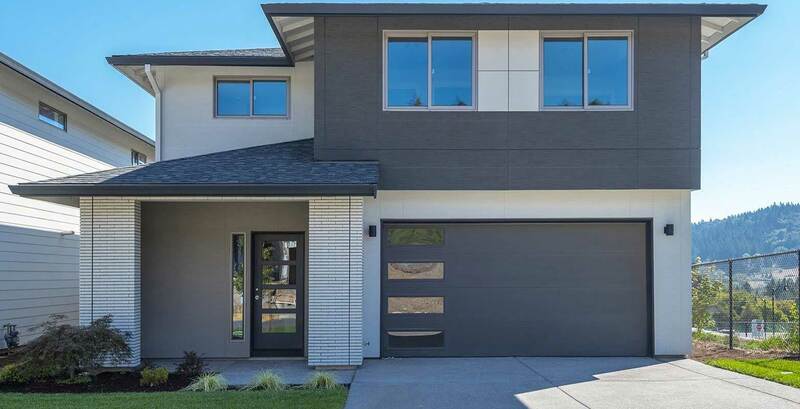 84 new contemporary homes are now selling in the Rainier Park community in Kent! Ranging in size from 1,770-2,973 square feet, these homes feature Ichijo’s quality finishes that home buyers have come to love such as piano finish cabinetry with pull-down shelving, organizers, soft-close, trash/recycle bins, under cabinet lighting and more as well as sleek interior doors with magnetic door stops, architectural grade dual sliding windows, and more! Many lots have Rainier views and there are open green spaces, trails and a park within the community! The community is conveniently located near highways and the Sounder Train! Discover The Ichijo Advantage! Move-in This Summer! 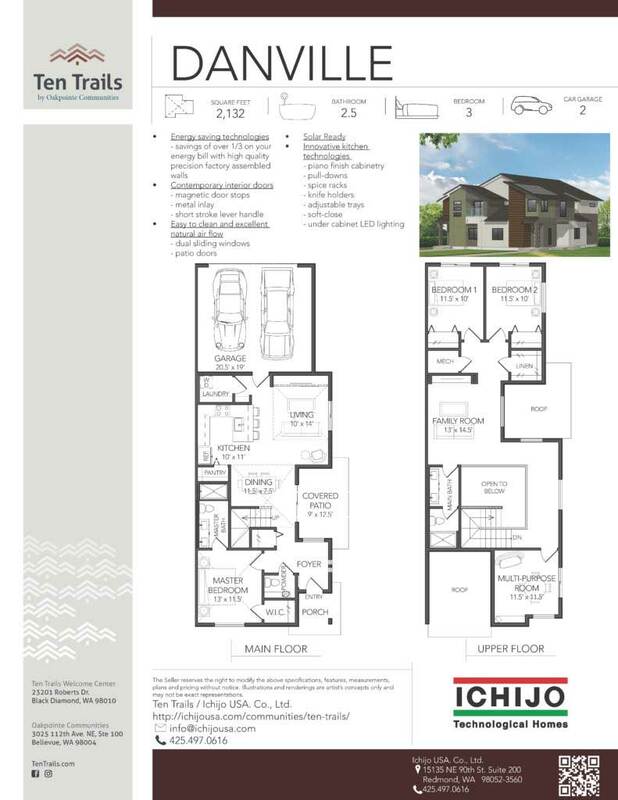 Come check out the award-winning builder, Ichijo USA, this weekend and find out what makes these homes truly unique. Contemporary design and unique propriety products set Ichijo apart from other builders. This community features high quality wall panel construction pre-assembled with wall framing, windows, weather barriers, furring strips and rain barriers improving material durability, water management and obstructing heat gains as well as improving indoor air or environmental quality. 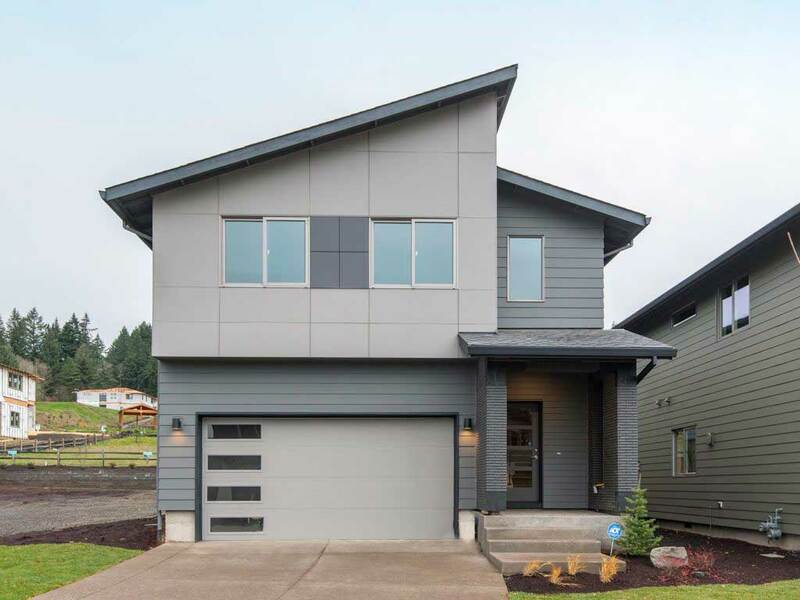 There will be two models open this weekend from noon to 5pm in Grand View Meadows, located in Happy Valley, Or. The address is 10037 Southeast 172nd Avenue, Happy Valley. For sales, contact Brian Houston at brianhouston@cbbain.com or 503.515.8018. Contemporary New Construction! Move-in This Summer! 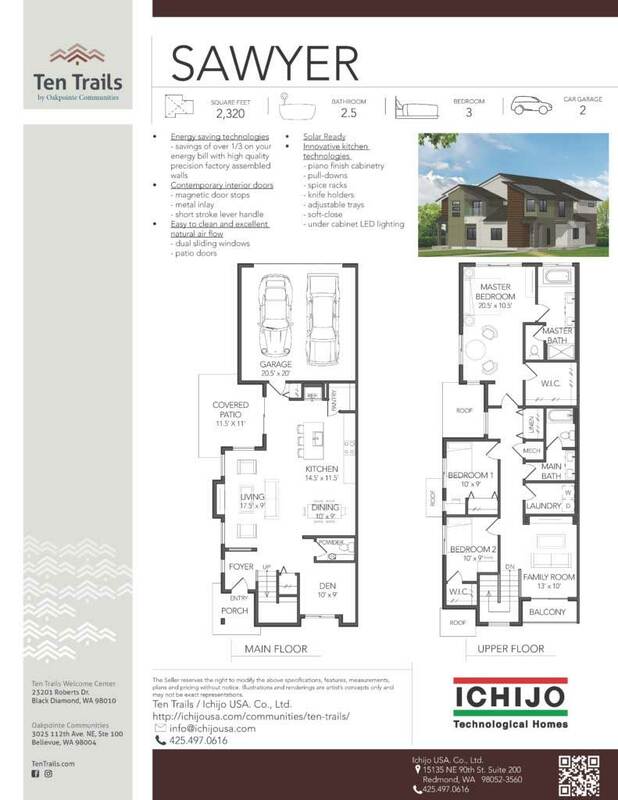 Visit Ichijo’s Sakura model this weekend in Happy Valley from noon to 5pm, Saturday and Sunday! The Sakura plan features open living on the main level with a den or bedroom next to a bathroom, spacious kitchen with an adjacent large mud room and covered patio. On the second level, you will find a generous master suite with his and hers walk-in closets and five piece bathroom. The two other generous bedrooms and family room can also be found on the second level. Enjoy beautiful valley views from most rooms! Pricing in the $500’s. Move-in this summer! The address is 10037 Southeast 172nd Avenue, Happy Valley. For sales, contact Brian Houston at brianhouston@cbbain.com or 503.515.8018. Sammamish Cedarwood Estates Last Home Remaining! Open Saturday from 1-4pm! Lot 6 Walnut plan is move-in ready! This spacious plan is perfect for multi-generation living. The main level features a separate garage entry with bedroom and bathroom adjacent. The kitchen features a large pantry and a built-in dining buffet. Upstairs, there are four bedrooms including a large master suite with a five piece spa-like bathroom and walk-in closet with built-ins. Two bonus family/study areas and a covered patio make the plan very livable for a large family. Enjoy wonderful in-floor radiant heat on the main level! All available for $1,320,000 for this contemporary 3,525 square foot home. Check it out this Saturday, 6/28, from 1-4pm! The address is 21222 Southeast 5th Place, Sammamish, WA 98074. For sales, contact: Mike Watts mike@mikewatts4homes.com or 206.660.6345. 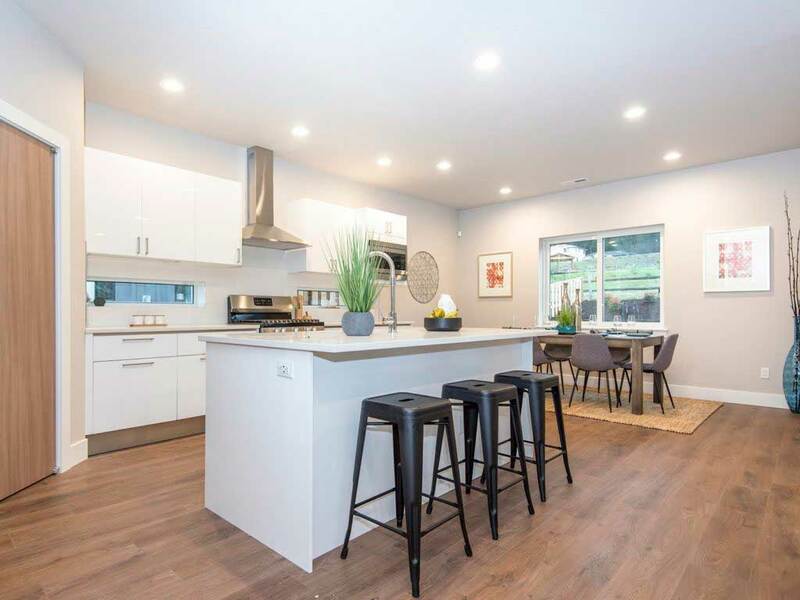 84 new contemporary homes in the Rainier Park community in Kent are now selling! Ranging in size from 1,770-2,973 square feet, these homes will feature Ichijo’s quality finishes that home buyers have come to love. Come check the beautiful new homes out this weekend at 24801 124th Ave SE, Kent 98031. 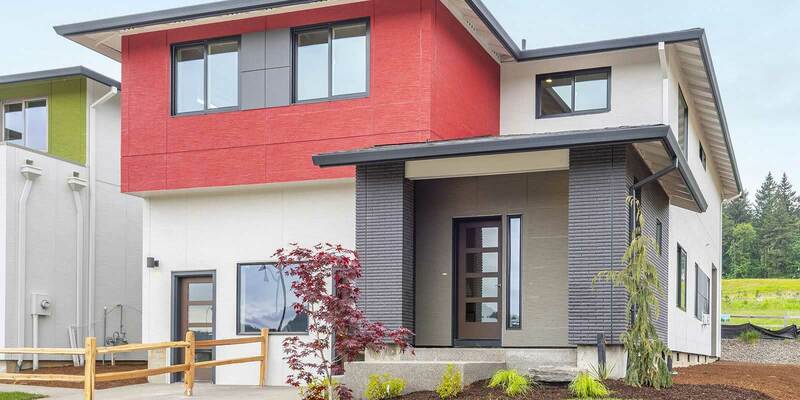 84 new contemporary homes in the Rainier Park community in Kent are coming soon! Ranging in size from 1,700-2,700 square feet, these homes will feature Ichijoâ€™s quality finishes that home buyers have come to love such as piano finish cabinetry with pull-down shelving, organizers, soft-close, trash/recycle bins, under cabinet lighting and more as well as sleek interior doors with magnetic door stops, architectural grade dual sliding windows, closet systems with drawers and shelving and more! Floor plans are coming soon so check back for updates. Pricing is estimated to be from the mid $400â€™s into the $500â€™s. Come check out our 3 models Saturday or Sunday at Sammamish Townhomes from noon to 5pm. The 75-unit townhome community is located in the new Sammamish Town Center at 524 228th Ave SE, Sammamish. Pricing to start in the mid $500’s up to the $800’s. The community will feature homes ranging in size from 1,200-2,700 square feet, 13 live/work units, open courtyards and parks. Additionally, buyers will love the Ichijo products such as piano finish cabinetry with organizers and pull-down shelves, sleek interior doors with magnetic doorstops, dual sliding windows, closet systems and more.